This Fargo sign is not often seen. Measuring 25″ by 31″, this sign is full of great contrasting colors and interesting typography. The sign has a red truck at the top and neon green lettering in the center. 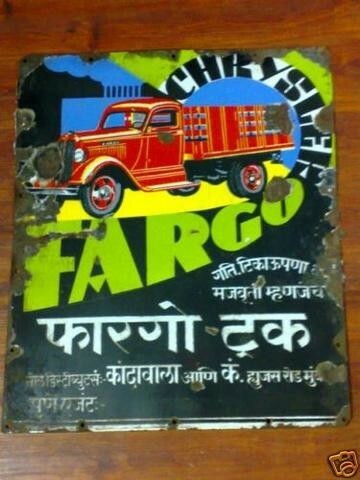 The text reads “Chrysler Fargo.” The bottom text is ineligible as it is in a foreign language.